This is an Early Warning Alert on a dangerous recall from BMW. An official recall notice has not been published yet by the federal government, but news reports today have said that BMW has joined Toyota, Nissan, Honda and Mazda in recallilng the millions of vehicles that have dangerously defective airbags. With BMW the total vehicle recall count is 1.3 million US vehicles, with just over 42,000 BMW's added to the US airbag recall list. Over 100,000 BMW's in other parts of the world are also being recalled for the exploding airbag danger. 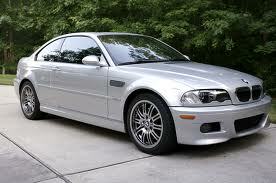 For BMW the recall covers the 3-series models from 2002 to 2003, including the BMW M3 coupe and convertible models. The recall affects the airbags built by Takata and installed in the front passenger seats of over 3.5 million motor vehicles worldwide. It also sheds light on the little-known market relied on so heavily by big-name car manufacturers who often use the same parts manufacturer, here Takata. Takata is the leading airbag manufacturer in the world. It turns out that airbags made by Takata from April 2000 to September 2002 in Moses Lake, Washington and Monclova, Mexico, used a propellant with a manufacturing defect that caused airbag inflation to occur incorrectly. The result was a risk of fires or passengers being injured by metal fragments shooting out. Oddly, Takata has admitted learning of the problem back in October 2011. No reports have been released on any earlier warnings by the air bag manufacturer to alert BMW or the other five car manufacturers of the danger. So if you own a 2002 or 2003 BMW 3 Series or BMW M3 Coupe or M3 convertible, be careful out there. Call your local BMW dealer and find out right away if your car is on the recall list. If it is, get it in the shop right away so you and your family are not injured by the Takata exploding airbags. Got a lemon BMW 3 Series or a lemon BMW M3?